The US economy may well be entering a period of monetary tightening and increased dollar strength. However, what happens on Wall Street does not necessarily filter to down to Main Street. The unemployment rate is currently 4.7%, and inflation is rapidly rising towards the 2% objective set by the Fed. Other US economic indicators paint a picture of an economy moving towards a recovery and higher interest rates. Nonetheless, jobs remain scarce and opportunities for investment require a little digging. For many people, the only way to build an asset portfolio is through credit facilities. A recent report was published stating that most American households do not have $500 in cash available for an emergency. This means that most American households are using credit cards to pay for their exigencies. Credit card debt is one of the biggest drivers of personal debt, and it often creates a situation where people find it difficult to turn things around. Fortunately, personal loans are a viable solution for this dilemma. These personal loans do not typically require upfront collateral, and this means that the lender has no guarantee that the loan will be repaid. This typically results in a higher interest rate than mortgages or auto loans. Regardless, personal loans are extremely popular in the US and elsewhere, and here are some tips on how to go about being approved for one. What type of loan is required? A loan is a loan right? Wrong. Personal loans vary from secured to unsecured. A secured loan will use your fixed assets, vehicles, or machinery as collateral. This means that if you default on the loan, your possessions can be requisitioned. A more popular option for personal loans are unsecured loans. No collateral is required for these loans, and it presents a greater risk to the lender, not to the borrower. The downside for the borrower is that it comes at a higher interest rate, and nonpayment can result in judgments, and a negative impact on the user’s credit score. The loan approval process is contingent upon many factors, a person’s credit score being the most critical. However, there are many other factors that come into play. These include your employment history, criminal background check, length of tenancy at current residence, court judgments, liens and other factors and so forth. It’s entirely possible to receive a personal loan with a credit score of 640+ or less than that. But, the lower the credit score, the worse the terms vis-à-vis interest repayments. 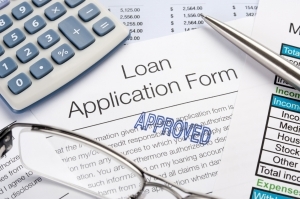 What lenders should you go to? There are bad credit loan lenders, banks, financial institutions, and various other potential lenders out there in the market. Your credit score is a useful determinant of what you qualify for, and who is most likely to approve your loan. Once the necessary research has been conducted, the paperwork needs to be gathered. The paperwork typically includes paychecks/pay stubs, rental agreement or title deed, letters from creditors or employers etc. Bank statements are also a good idea as they show your debits and credits over time. The loan application form needs to be correctly filled out. Incomplete applications are summarily rejected, and will not reflect positively on the borrower. The most important T & C for personal loans is associated with the interest rates and repayment conditions. Flexible lenders, low interest rates and tailored solutions are best.